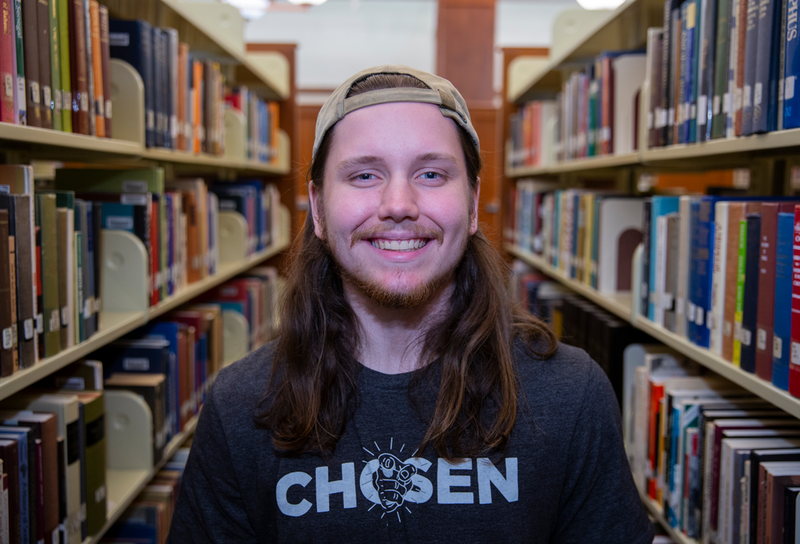 When Trevecca junior Christian Mack started working on a research paper for an English class last semester, he found himself turning to an old favorite. That spark turned into a research paper that explores how Edgar Allan Poe constructed the literary worlds on display in his fiction, specifically in "The Tell-Tale Heart," "The Black Cat" and "The Imp of the Perverse," Mack says. 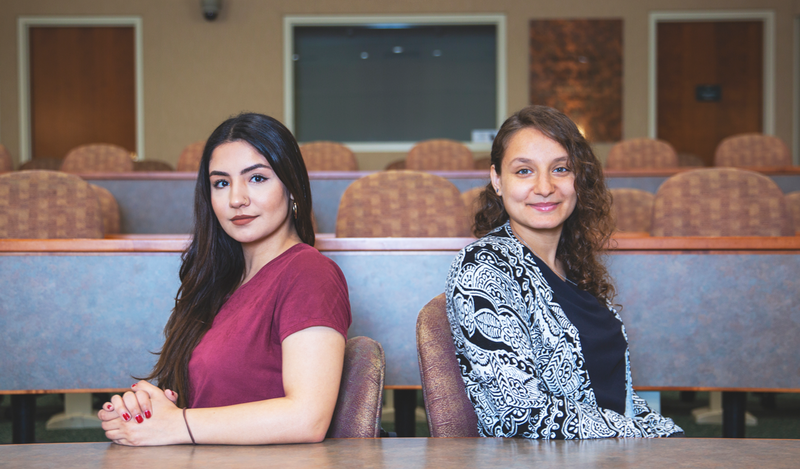 For Soma Ezzadpanah, a psychology major who graduated in December, and Marian Malek, a junior majoring in psychology, the process started a little differently. Both students in Dr. Randy Carden’s research methods class, Ezzadpanah and Malek initially started researching separate ideas, but soon realized their topics overlapped. The result is a research project titled “Does Where I Sit Matter?” that explores student engagement by measuring the students’ engagement, their self-reported GPAs and personality traits. Ezzadpanah, Malek and Mack will be just a few of the students presenting research at Trevecca’s 26th annual Student Research Symposium, set for Monday, April 15. During the symposium, student researchers will present their findings in 48 separate presentations covering a variety of topics, from biology and psychology to literary and historical analysis. Earlier in the day, nine students will present research in poster presentations as part of Research on the Hill. For Mack, part of the what intrigued him about researching Edgar Allan Poe’s work was being able to “synthesize ideas.” He’s the first to admit that literary research is a bit different from the picture many have of research, which involves microscopes and data. “The interesting thing about English is that research is a scholarly conversation,” Mack said. “For me, the research process involved looking at what research was out there and seeing how I could fit my voice in there. Ezzadpanah and Malek’s research did involve data—lots of it. The two began surveying fellow students (who remained anonymous) early in the fall semester, asking questions about the students’ level of engagement in the classroom, personality traits and GPAs. They color coded the packets to measure where students were sitting in the classroom: front, middle or back. After certifying the data, the pair began entering it into their database, a project their friends volunteered to help with. “After we collected data, our friends would actually come and help us add all the data and type it into the database,” Malek recalled. Malek and Ezzadpanah stressed that the Trevecca faculty and staff were instrumental in helping them complete the project, from professors allowing them to survey their classes—they visited seven or eight classes during the fall semester—to librarians helping them to locate research. Mack says that his undergraduate research projects have been some of his favorite experiences at Trevecca. Trevecca’s 26th annual Student Research Symposium will begin at 7 p.m. in Benson Auditorium in the McClurkan Building. Student presenters will then be divided among several rooms in the building, presenting their findings simultaneously before separate panels of judges. Winners from each room will be announced at Trevecca’s annual awards chapel on April 25.